Yep, you read that correctly, I'm giving Coles a shout-out on my green-living blog. For years I've looked upon the retailer with near-disgust. After all, they stock all the dreaded packaged foods in this country responsible for so much waste and unhealthy diets. They pushed out the independent fruit and veg shop in my neighbourhood last year and have a pathetic selection of organic produce. And why won't they just ban plastic bags already? But we have recently kindled a flame. It started innocently enough. Just a flirtation. I'd run out of the Fairtrade organic tea I get from Oxfam and was desperate for a cuppa. I couldn't get to the Oxfam shop so I popped down the road to the oh-so-convenient Coles to buy an emergency pack of tea. 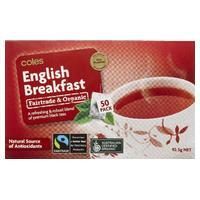 And then, there amongst the Twinings, Bushells and Dilmah, I discovered Coles-brand tea that has been certified both Fairtrade and organic! I promptly wrote Coles an email to thank the company for its growing commitment to the environmental cause and encouraged them to add more eco-friendly products to their store. A couple months after discovering the tea I had a similar situation with organic cotton make-up pads (typically purchased from the health food store or Eco at Home). The health food store was sold out for a few weeks and I couldn't get to Eco at Home, so just like the tea, I popped down to Coles to get some non-organic pads to cover me until I could get the eco-brand. And, voila! Coles now stocks Swisspers certified organic cotton pads - and they are even the same price as the non-organic. They're a bit alien-like, but I do appreciate the Aussie colours! They were produced in the UK, so there is a travel footprint associated, but they are made of 93% recycled plastic and use no metal. According to the back of the pack, making recycled plastic uses 70% less energy than making virgin plastic. They are also completely recyclable should I ever need to discard them. The pack also says they can withstand hurricane-strength winds - I don't know if I'll have to worry about that, but a few weeks in they are withstanding the sea breeze that blows through my garden. Of course I love supporting small businesses and will continue to frequent the great specialty shops I've discovered along my green journey, but I also think it's incredibly important to support mainstream stores stocking green products. I'm a firm believer that if these products are readily available people will purchase them, it's all a matter of convenience (and price), so I'm happy to support Coles by buying these certified (remember to ensure the products you purchase are certified organic, Fairtrade or recycled so you're not greenwashed) green products and encouraging them to do more. So what are you waiting for? Why not see what great green finds are at your local grocery store? I'd love to hear what you discover! 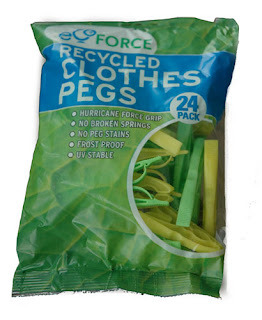 Yep - I adore those pegs too - they are my favourite of the bunch, and last! 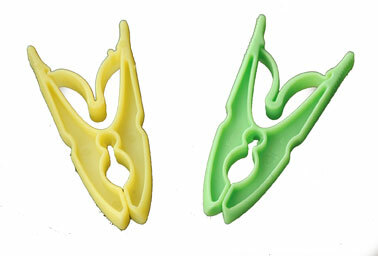 Even when they break a little bit (when some magical part goes to peg heaven) I can still use them.